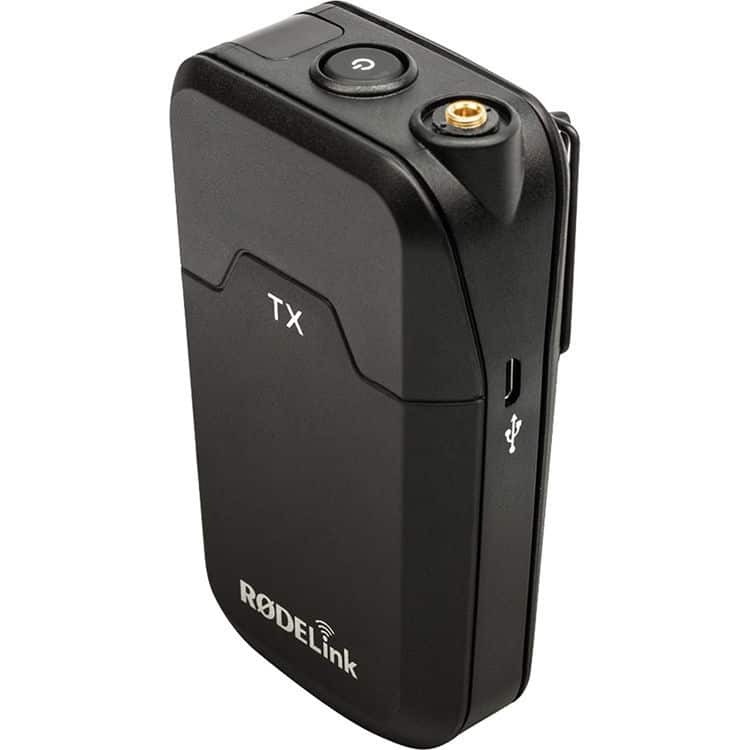 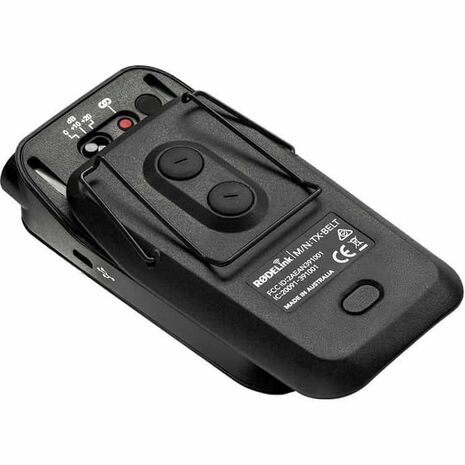 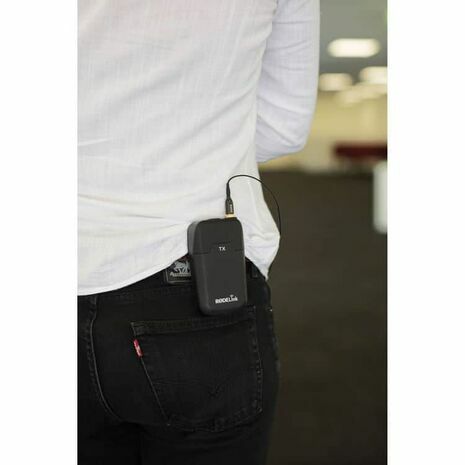 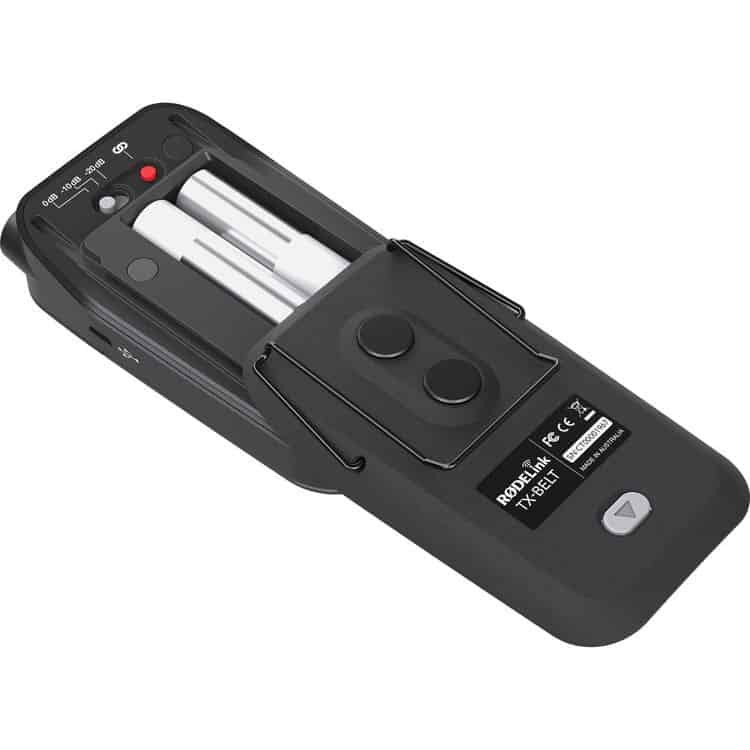 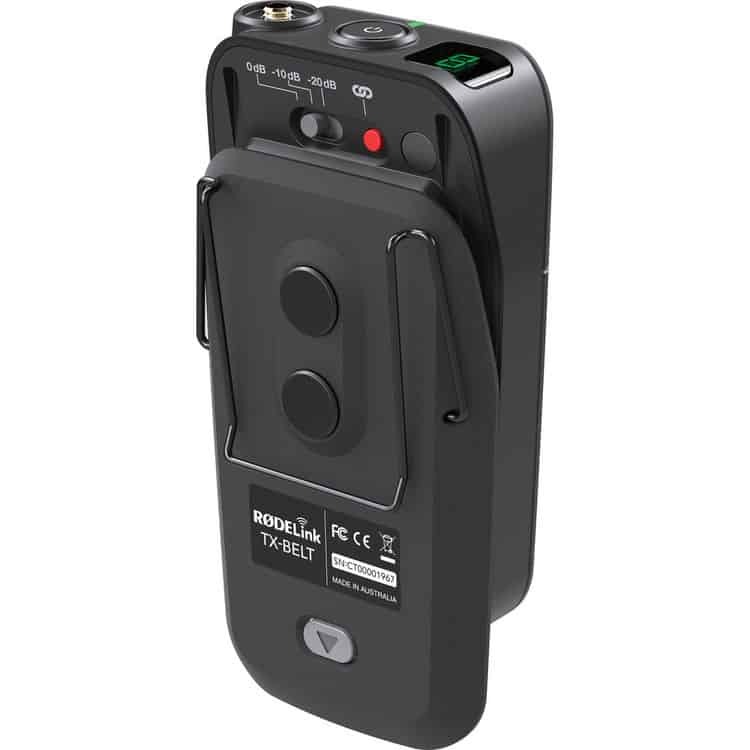 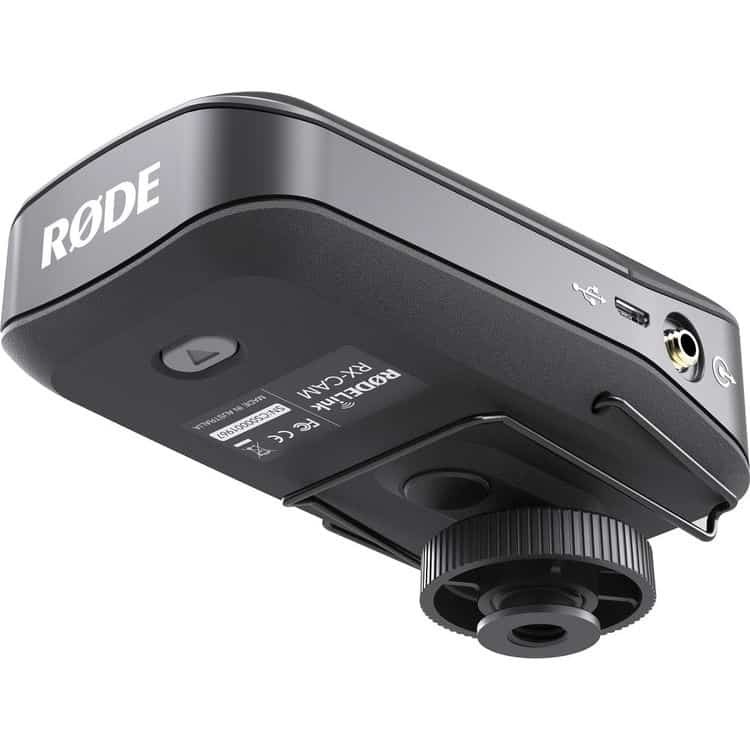 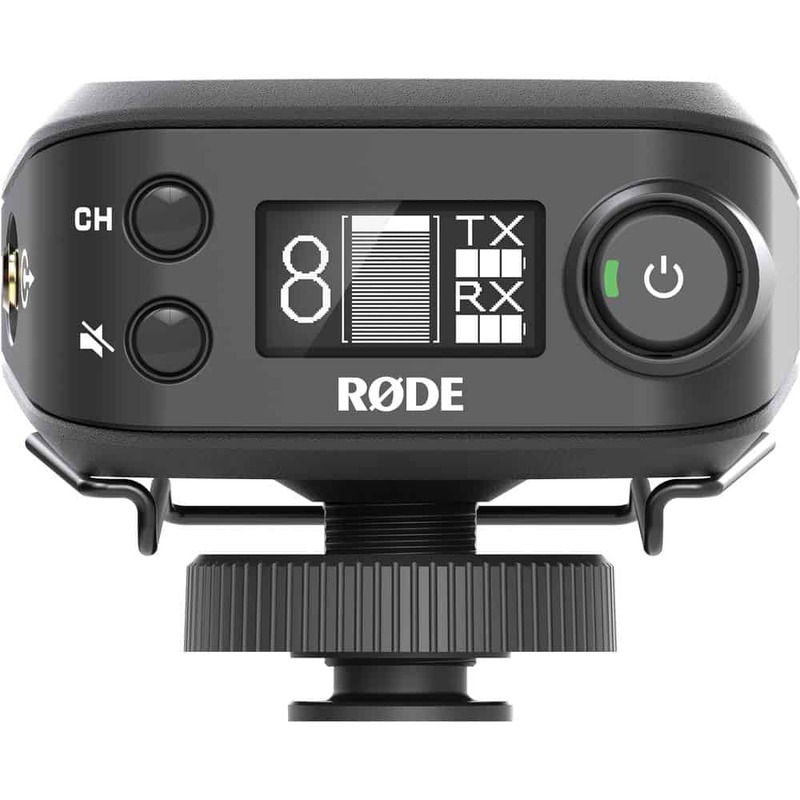 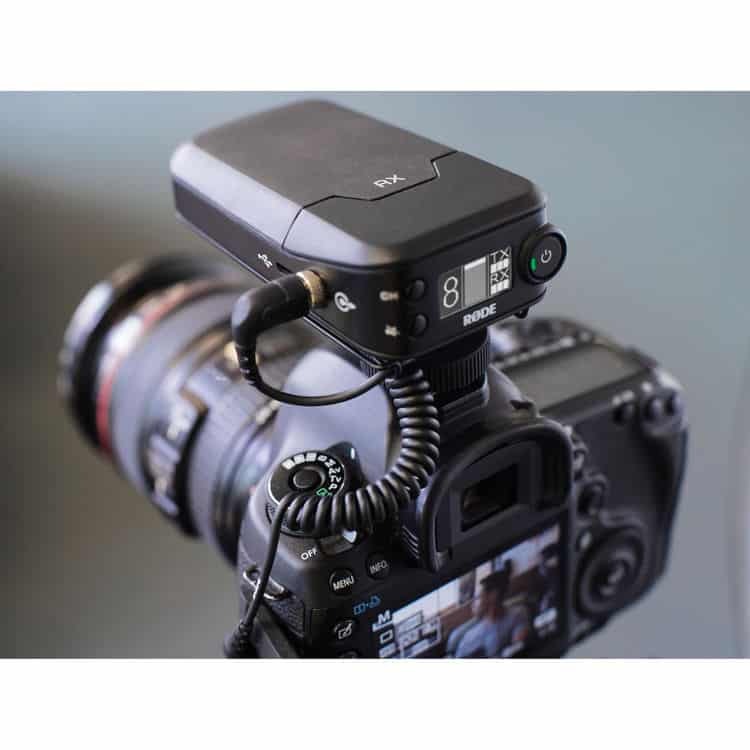 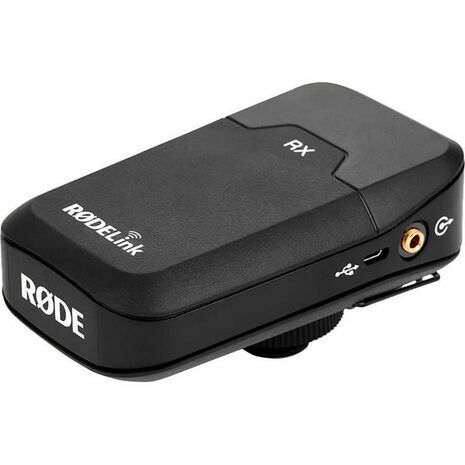 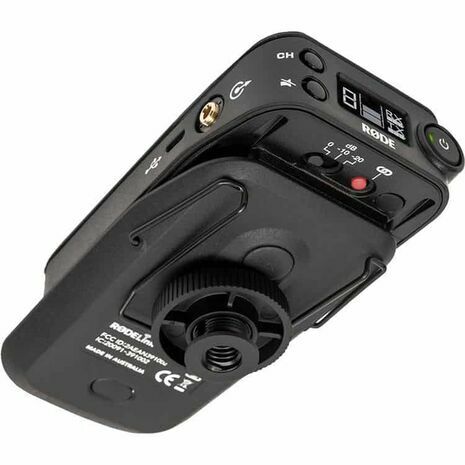 The RODELink Filmmaker Kit Digital Camera-Mount Wireless Omni Lavalier Microphone System from Rode is a wireless system for film and video production that features a transmitter, receiver, and an included lavalier microphone. 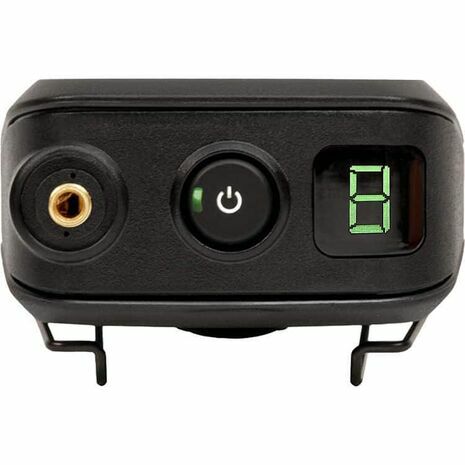 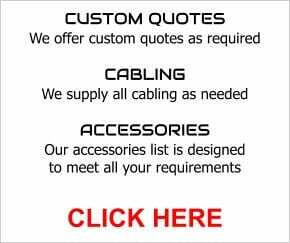 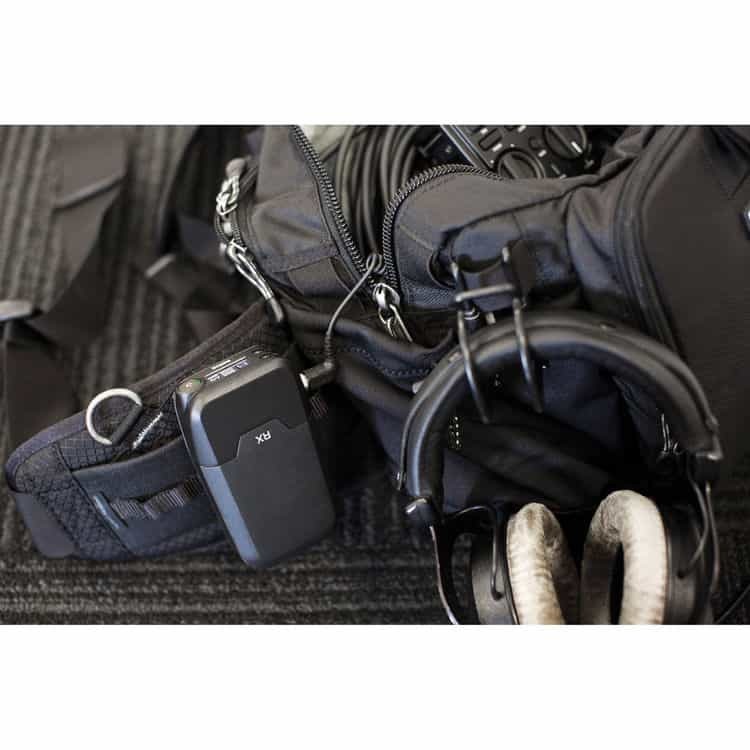 The system utilizes a Series II 2.4 GHz 128-bit encrypted digital transmission signal that constantly monitors and hops between frequencies to select the strongest signal. 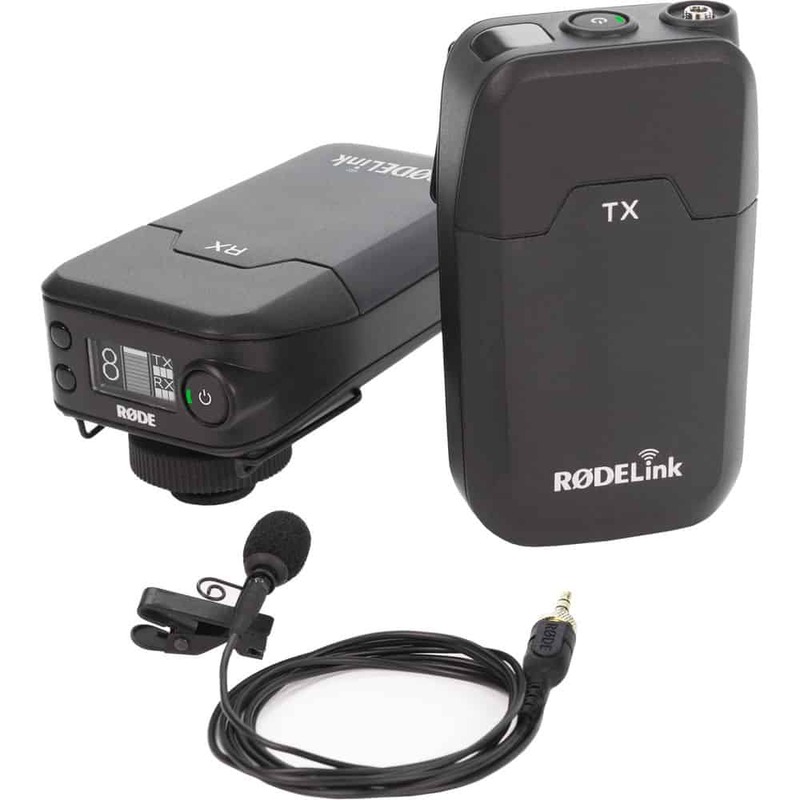 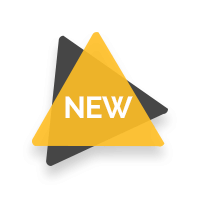 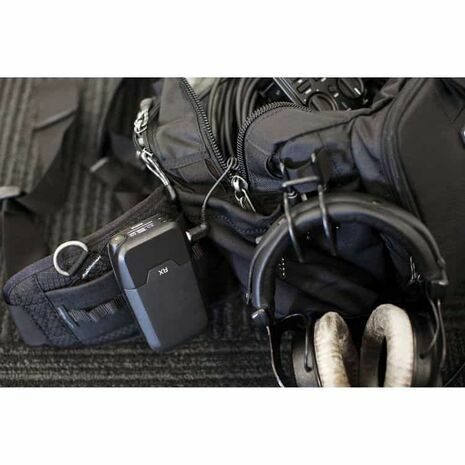 The kit offers a high signal-to-noise ratio and provides a high-resolution 24-bit 44.1 kHz digital transmission of lossless audio at a range of up to 328 ft. Up to 8 systems can be used together simultaneously.